The Plastics Industry manufactures polymer materials and offers services in plastics important to a range of industries that includes aerospace, building and construction, transportation, electronics and packaging. The Plastic industry in India symbolizes a promising industry and is creating new employment opportunities in India. The per capita utilization of plastic products in India is growing and is heading towards 2.5 times the GDP growth. This potentiality of the market will surely actuate the entrepreneurs to invest in this industry. The Indian government is trying to set up the economic reforms to elevate and boost the plastic industry by joint venturing, foreign investments and trade. The entrepreneurs are thriving to provide high quality plastic products, so that it becomes an emerging industry. The Indian plastic processing sector needs to consolidate and become quite competitive. The overall turnover of the plastics processing industry that currently stands at Rs. 85,000 crore is expected to reach at Rs. 100,000 cr on the basis of the expected growth of the demand potential to 12.50 MMT from the current 9 MMT growth. A 33% growth has been reported, which will increase the employment potential of the sector. Independent study shows that this industry that currently hires more than 3 million people, directly or indirectly, is expected to employ close to 7 million people by the year 2015. One of the biggest businesses in India is the plastic industry. 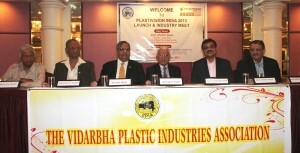 India’s plastic industries are classified into suppliers, manufacturers, exporters and whole sellers of plastic products. The best plastic industries in India delivers the most trusted brands of plastic products being certified by the International Organization for Standardization (ISO) that ensures production of high quality plastic products. The next two decades are expected to offer unprecedented opportunities in the growth of plastic industry in India. According to a Report, the world trade in Plastics is expected to reach 140 mln tons and provides a lucrative opportunity for India, but with just a 1.5% share in world export volumes, India does not stand a good position to capture this opportunity. The Indian Plastic Industry needs to consolidate and enhance capacity, upgrade their facilities, improve productivity and increase utilization of critical plastic applications. Finolex Industries Limited is India’s largest PVC pipe manufacturer. This company manufactures PVC pipes and fittings for housing, industrial, construction and telecommunication applications. Plastiblends India Limited is renowned as India’s pioneer Masterbatches manufacturer. The company is the largest exporter and producer of stabilizer compounds. One of the most prominent plastic companies in India is the AGA Group International, which was established in 2004 in Ambala City, Haryana. The company supplies, manufactures and exports the laboratory plastic wares. The Corporate Resource Group is another leading suppliers, exporters and manufacturers of plastic instruments and pipettes in India. The company export products in the Africa and USA. The company was established in Burari, India, in 2004. The company’s products include plastic educational models and compression testing machines. The various associations need to come together and put in a concerted effort to join hands to enhance the image and the growth of the Indian Plastic industry, to create opportunities to demonstrate the industry’s capabilities, educate all the segments of the society about the benefits of plastics. The associations needs to create a positive policy framework with all statutory entities and increase per capita consumption of plastics and encourage exports thereby significantly contributing to national growth.